Our mq_config module allows you to configure and manage almost everything you'd want to manage on of an IBM Message Queue installations. You can create and manage Queue managers, Queues and Topics. All the properties you'd want to manage on them are available for you in Puppet. 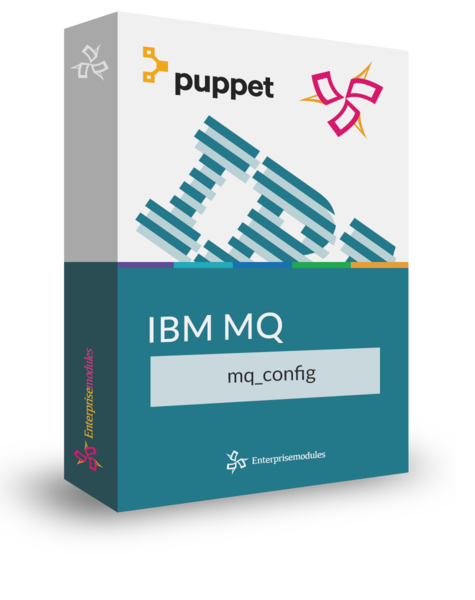 The Puppet types in this module allow you to manage the full life cycle of your IBM MQ configuration. From first installation and configuration to doing all changes from small ones to big ones. To effortlessly install the IBM MQ Software, check out our mq_install module. A valid License from IBM to use this software. To get a valid license for IBM Integration Bus, please contact your IBM representative.